Restoring to the Highest Standard. The Long Beach Honda Standard. Caliber Collision is our preferred collision repair company. 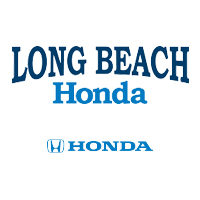 At Long Beach Honda, we are committed to quality and customer satisfaction and we are proud to announce our partnership with Caliber Collision. Caliber Collision is the largest collision repair company in America and all of their locations are I-CAR Gold Class Professional certified. We are thrilled to partner with a business that consistently achieving some of the highest customer satisfaction scores in the industry. Caliber Collision offers customers the highest quality customer service, auto body paint, dent, glass, and collision repair throughout California and 16 additional states across America. For more information about Caliber Collision, please visit their website or follow them on Facebook, Twitter and YouTube.